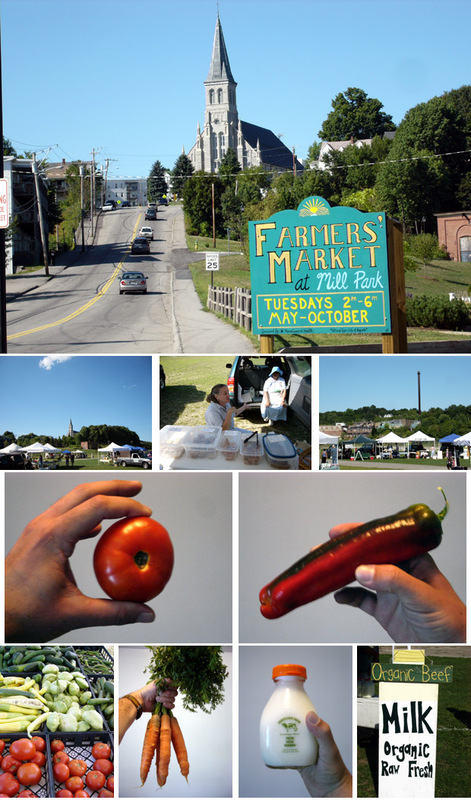 Augusta has an awesome farmers' market. They have a few a week in different locations, but I went to the one a half block from where I live on Water Street. It is on the site of an old mill. Across the river there are remains of another mill that hasn't been operating in a long time. The city approved a plan to build a pavilion for this market in particular. The farmers' markets in the area really make Augusta attractive.